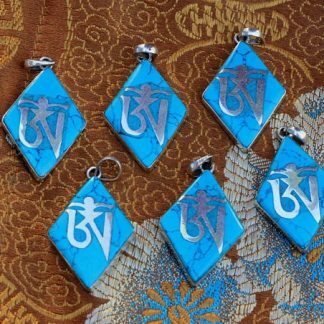 This is a lot of six Buddha lotus Om mantra charms handmade by Newar Artisans in Nepal. 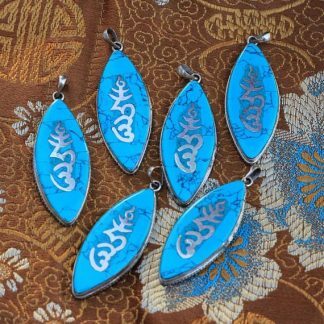 They are made of 925 sterling silver and semi precious stones turquoise. 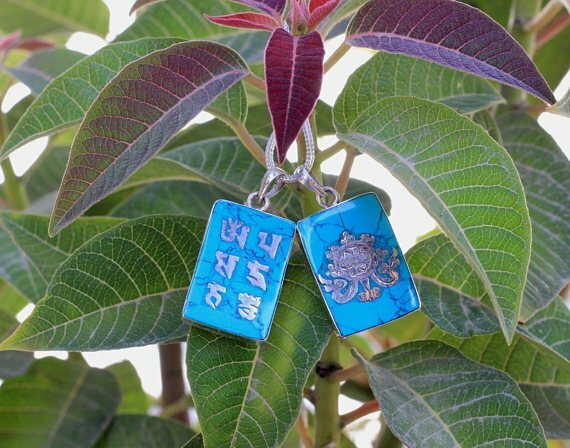 It is believed that these charms bring everlasting peace, love and luck in your life. 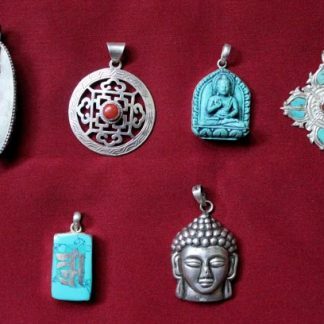 Bundle of six charms that means you will get 6 of these pendants with this purchase. 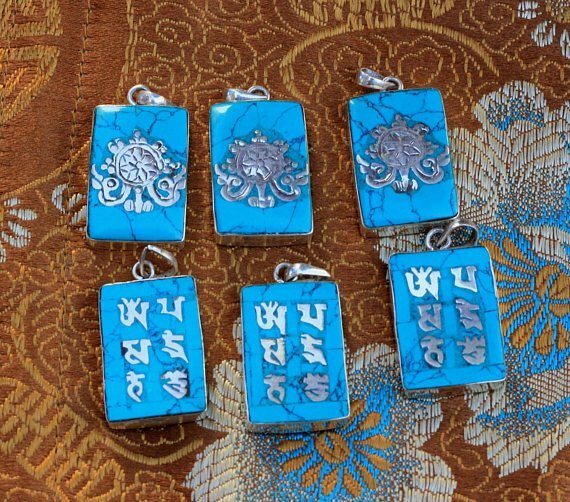 This set includes six charms where in each one sided is carved with Tibetan Om mani padme hum mantra and other side is carved with lotus flower symbol one of the eight auspicious symbols of Buddhism. 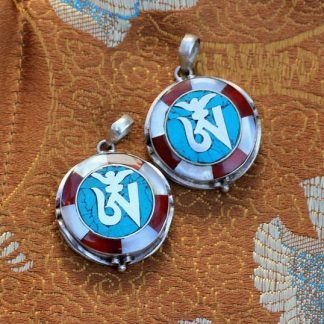 The Ashtamangala are a sacred suite of Eight Auspicious Signs endemic to a number of Indian religions such as Hinduism, Jainism, and Buddhism. 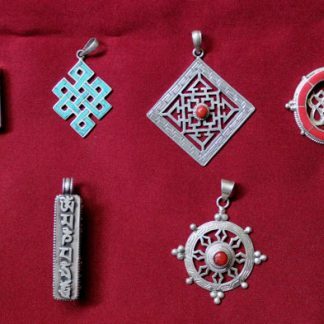 The symbols or “symbolic attributes” (Tibetan: ཕྱག་མཚན་, THL: chaktsen) are yidam and teaching tools. 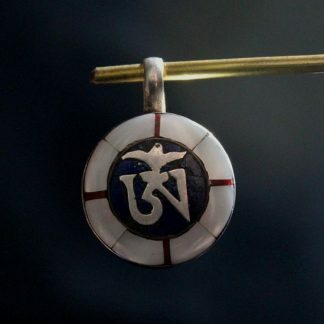 Not only do these attributes, these energetic signatures, point to qualities of enlightened mindstream, but they are the investiture that ornaments these enlightened “qualities” (Sanskrit: guṇa; Tibetan: ཡོན་ཏན་, THL: yönten). Many cultural enumerations and variations of the Ashtamangala are extant. 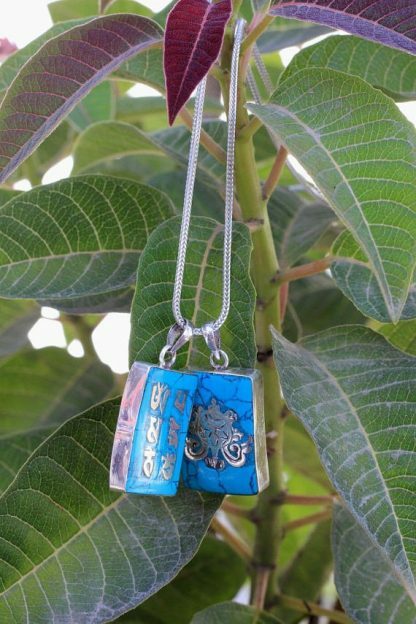 If you are interested in wholesale or bulk purchase we can help you with your custom order. 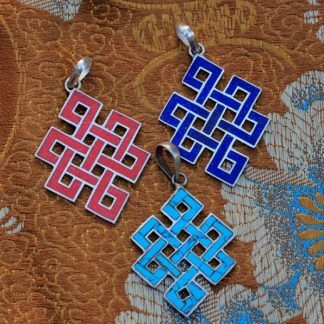 Just contact us after check this wholesale page.